Here’s the complete dedication broadcast from July 17, 1955 on ABC. 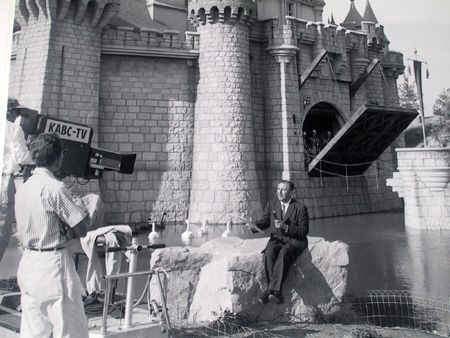 As troubled this broadcast and opening day were, Walt refused to give up. “Get a good idea and stay with it. Dog it, and work at it until it’s done right.” ~ W.E.D. This entry was posted in Uncategorized and tagged American Broadcasting Company, Art Linkletter, Disneyland, July 17 1955, Ronald Reagan, Walt Disney. Bookmark the permalink. 2 Responses to Happy Dedication Day, Disneyland! I miss the era when they used to show this stuff late night on The Disney Channel! They need a Disney History Channel! !